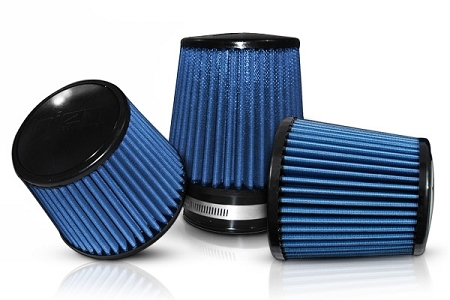 Dump Your K&N Filter, NOW! I've been using the K&N SRI Filter for far too long on my Cruze and the experience was terrible. While i had the oil filter on, every time i went to a high RPM and let the throttle go, you could smell the oil being burnt as it filled the cabin. The power of the car dwindled with each passing mile because of the small capacity of filter causing me to constantly clean the Filter. Overall, a terrible filter for a turbo car. Do yourself a favor and get this filter. Don't risk losing your engine or your turbo by continuing to use Oil Filters and praying for something to not happen to your car. 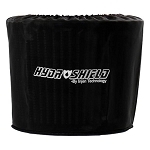 This is one of the best filters you can get for either a Cold Air Intake or a Short Ram Intake from the capacity to the price, you cannot go wrong with this filter! Save yourself from the frustrations and the damages youll get from any other oil filters if you swap your airbox for a alternative intake. Get this Filter and be anger free. If you have the K&N intake, swapping to this filter is absolutely worth it. Took care of maf sensor problems I'd been having with the K&N filter. Bought this to replace my oiled K&N Filter on my K&N SRI. It's a little bigger than the one I replaced so it was a tight got but overall love it. I bought the precharger/silicone treated pre-filter by Injen off another website and it looks sweet. Love the peace of mind of knowing I won't have any possible oil residue/water molecules getting into my engine or skewing my MAF readings. Thanks for the quality hookup!